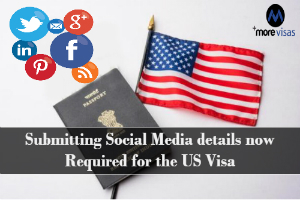 The US administration has announced that the applicants seeking the US visa must submit details regarding their social media history. Presenting, the previous email addresses along with phone numbers, will be a part of the vetting practice now. This is necessary for preventing the entry of persons who are a danger to the country. There is a demand in the new rules. All the persons who are arriving in the US by using non-immigrant visa will have to give answers to many questions. The State Department has estimated that these new visa norms will impact on 710,000 immigrants. Moreover, 14 million visa applicants in other categories are going to receive an impact. There is a condition to provide identifications and handles of the social media accounts. In addition, they must give details regarding the numbers in use, in phones and mobiles during the past five years. There is a set of some more questions. They must give the list of telephone numbers, and email addresses which they were using previously. Likewise, if they had traveled internationally in the past five years they must give the details. There must be a focus on deportation and removal by any country. The family members must not be a part of a terrorist activity. As a result, after this is published the public will get 60 days for making a comment in this matter. There is a question on many social media accounts. It needs the details regarding identities which were used by the applicant. The details are regarding five years before the application date. The State Department needs having these details to identify and solve the application. It is needed in the vetting purpose which is based on legal standards in eligibility.